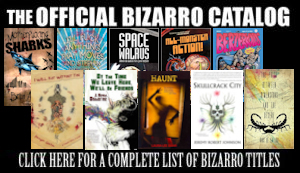 I will be teaching an online Weird Fiction workshop all through the month of October. 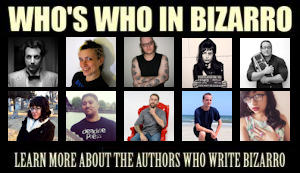 It will give me a chance to share what I’ve learned from reading submissions for Bust Down the Door and Eat All the Chickens and Evil Nerd Empire, from editing Bizarro manuscripts and from writing horror and Bizarro fiction with aspiring Bizarro authors or just anyone looking to sharpen their skills. The workshop starts October 1st and costs only $20 for a month of writing exercises and critiques. If you’re interested in having a happy and productive Halloween season and learning a bit more about all things weird, you should sign up. 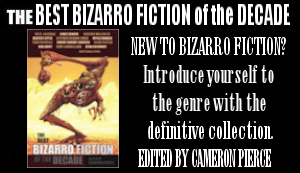 Garrett Cook is the author of the Murderland books ArchelonRanch and Jimmy Plush, Teddy Bear Detective as well as an editor for several Bizarro Publications. This entry was posted on September 22, 2011 by garrettcook. It was filed under Uncategorized .